The shocking implication made by Cardinal Pell was that 14% of all Popes are invalid. Much of the media overlooked that worrying statistic and it wasn't one cited by Pope Francis himself but last week brought about new concerns for couples, single Catholics, priests, religious and even bishops. The idea of an invalid Pope possibly emerging from a conclave was advanced by none other than St John Paul II in his own motu proprio, Universi Dominici Gregis, when, among other stipulations for future conclaves, he laid down the law of immediate excommunication upon those who would dare to canvass for votes during a papal election or in any way violate the secrecy for which such a supreme and sacred responsibility calls. In the light of revelations surrounding certain Cardinals during the pre-conclave gatherings and the alliances made during that time, before, over and after dinner, especially in Austin Ivereigh's epic 'whodunnit', The Great Reformer, many Catholics asked themselves whether the Pope is valid in the light of the law laid down by St John Paul II, but like so many difficult questions over such issues as validity, only a few of the Faithful sought answers concerning questions surrounding the abuse of the conclave procedure from the Church authorities. This week, however, more and more faithful Catholics are rushing to the Church authorities expressing grave concerns concerning the authenticity of their Pope. One Catholic commentator expressed some deep reservations about Pope Francis's recent controversial documents. Others are simply so staggered that on top of reams of statements and teachings from Pope Francis that sit, to put it mildly, a little uncomfortably with the constant magisterial content of his predecessors, astonishing alterations to the Church's discipline in complicated and sensitive matters, over-riding much of canon law on a complex subject, have been issued from the hand of the Supreme Pontiff. "After all, we have had 'invalid' Popes before. What is the percentage of Popes who have been antipopes? One in fifty? One in ten? There would need to be a comprehensive investigation first, mind, a sober analysis of the facts and I don't think 45 days would be enough time. Naturally, these things shouldn't be rushed, but we also need to show mercy to the afflicted and consider their pain. Perhaps we should try counselling first before rushing headlong into something we might all regret. After all, His Holiness did swear an oath he was going to shepherd the faithful. Pope Francis and the Catholic Church then, in the view of some, a marriage on the rocks, with a growing number claiming the Pope and others could be guilty of some serious, perhaps catastrophic infidelity, before, during and after his election, as well as before, during and after the Synod on the Family. What with that and the more complicated issue of the "brevity of papacies", could things be about to get tough for Francis at the Synod? After all, isn't that what both marriage and the papacy are all about? We should pray for the unity of the Catholic Church under the governance and authority of the Pope and Bishops. After all, nobody really wants to annul a Pope and declare him to be invalid. Such things are rare, but there will always be a small minority of cases. This is why the Church's law is so important - it is needed to ensure justice is done, to examine the evidence and ascertain the truth. The laws concerning annulments, both marital and papal, are there to protect the vulnerable who could be bullied, misled or abused in the process. It's really a 'safeguarding' issue. There may be some, even at the Synod perhaps, who would like to see that procedure 'fast-tracked' in order to be merciful to all the parties concerned, but I doubt that would really get the approval of anyone working at the Apostolic Signatura, do you? Bravo, Bones! Gallows humour at its finest. God help us. Pray the Rosary one and all. You or rather Cardinal Pell raise profound issues. We have to keep our calm. It is now clear that Vatian II has been a historical disaster. Bishop Schneider has called for a Syllabus of Errors of Vat II. He refers to the current crisis in the Church as comparable to the Arian. One important thing is the degree to which the Church is leaning ever more towards the World and the World is not interested. 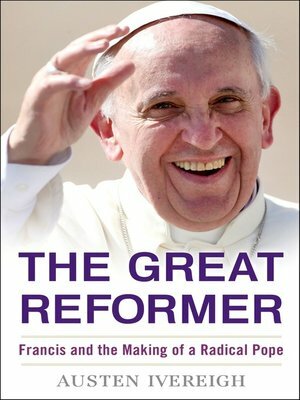 The best that will come out of this is that we distinguish between the true authority of the Pope and his non-infallible pronouncements. I suppose that is the counter to Transalpinism?? And the real danger of Islam now soundly within the walls is completely ignored. Thank you, Mr England. Hope you're well. Brilliant, Bones, as always, God bless you! Is my pope valid? Bwa ha ha! And thanks for the Al Green song---took me back to slow dancing at senior prom. I wish we could get an annulment for the Papal Election of 2013. I have heard of anti-popes, false-popes and bad-popes (true popes with wretched private morals). Invalid... A Pope is a successor of Saint Peter. He cannot lead anyone astray in Faith and Morals and cannot promulgate any universal evil by Virtue of the Gift bestowed upon him by the Holy Ghost (if he can, then there is simply no need for a Catholic Church). The 'event' of the Second Vatican Council, and the novelties in Worship and Discipline that were universally imposed on every Catholic parish on the planet are unprecedented. Anyone with a knowledge of what preceded, by the Grace of God, that person must submit their conscience to the Grace of God or to something else. For me, the Chair of St Peter is empty due to heresy, the office is perpetual (teaching Protestants that St Peter was supposed to have successors), and any Catholic with a sense of the faith must learn and watch and wait. Does anyone remember the 'great apostasy'? Modernists like JPII who publicly desecrated the Blessed Sacrament repeadetly in front of the entire planet, with the aid of new technology, with his Mass avante-garde theatre, and promoted the material as its own 'theology' didn't shy away from pointing out great apostasy whilst continuing to promote it - in true modernist style. Benedict rewrote the Church's teaching on convenants and the ressurection and invented 'Pope Emeritus' - it's all academic afterall. Or maybe the Syllabus of Errors was an error, and maybe the Council of Trent was just kidding, and maybe Pope Puis XII's warning against any deviation in ordination rites was just whistling dixie. Pope Frank opines that 50% of marriages are invalid. I wonder if the same logic should also apply to Papal elections. I think that, like most of what this Pope says, his views on marriage are BS. And that we're stuck with a faith-testing but valid Pope. @Felix M. The Church teaches that manifest heretics have no jurisdiction. Bergoglio doesn't test a Catholic's faith. He simply promotes another sort of faith all together. The Church teaches so much so clearly and all so visible and accessible so that we don't follow wolves as if they were shepherds; and yet we are hell-bent on having our wolves - shepherds be damned.